BARON AG interconnects allow you to start listening to music instead of listening to your equipment by removing all harshness while conveying more "air" and a delicacy that only a quality silver/air-dielectric design can provide. These interconnects find themselves at home in the most resolving, high-priced systems, particularly those using low-power tube components. 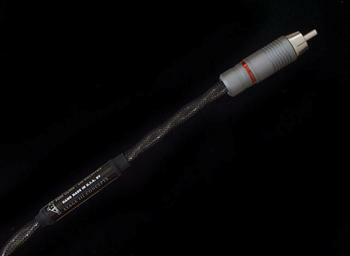 Single-ended (RCA) only. Twisted pair configuration with 2 AeroStrand™ pure silver conductors per channel (1.5mm x .3mm). Air dielectric. Mil-Spec PVC tubes (0.8mm wall). Terminated with custom silver RCA plugs or Switchcraft XLR plugs.